The Harold Jeffreys Lecture is given annually by a distinguished and eloquent speaker on a topic in geophysics. Nimmo is an expert in determining the origin and evolution of solid body surfaces and interiors from observations and geophysical modeling. The RAS announcement of the lectureship described Nimmo as "the pre-eminent geophysicist in the world in the study of solid icy bodies. In the past twenty years, he has played a major role in the interpretation of Titan, Enceladus, Europa, Pluto, and other outer Solar System bodies, primarily through the analysis of data from the Cassini and New Horizon missions." Nimmo's approach builds on classic geophysical techniques such as those that relate topography and gravity field, and interpretations of surface morphology. He has established many collaborations with geologists, geochemists, and cosmochemists, which has enabled a range of striking new discoveries, including the confirmation of an internal ocean in Saturn's moon Enceladus and the reorientation of Enceladus. Nimmo earned his Ph.D. at the University of Cambridge, followed by appointments at the University of Cambridge, University College London, and UCLA. 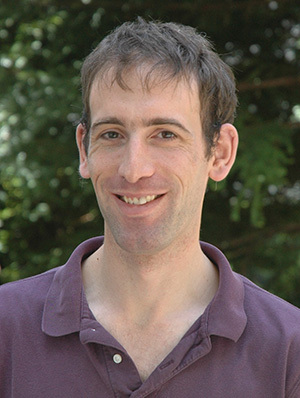 He joined the UCSC faculty in 2005.